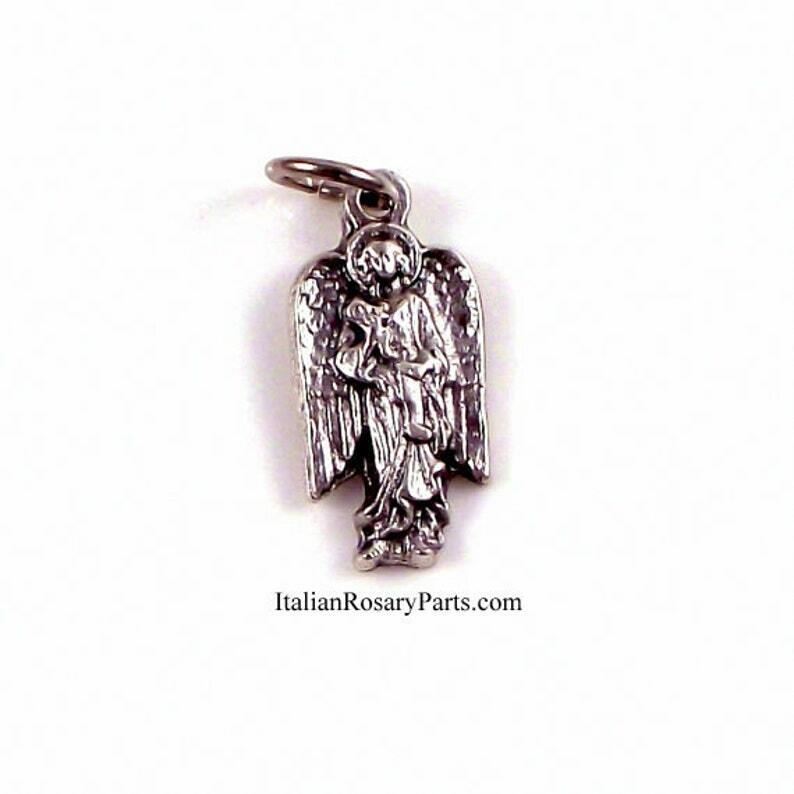 Saint Gabriel the archangel medal. Measures 3/4" high. Silver-oxidized metal. Made in Italy. For bulk order discount pricing choose the quantity of medals from the drop-down box. The name Gabriel means "man of God." St Gabriel is the angel that announced to the Blessed Virgin Mary that she would bear a Son.